This rock is 2,100,000,000 years old! Dolomite of this color is found only in Marquette County. Dolomite that is found in other locations around the world is normally white and grey. 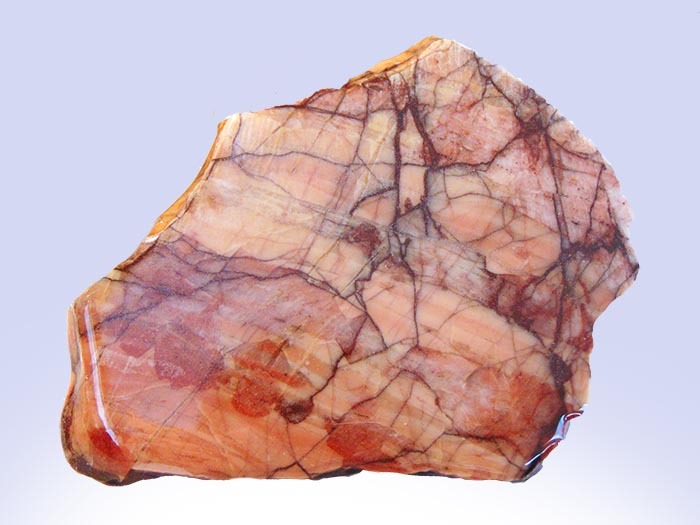 The unique pink and red pigments fond in Kona Dolomite are caused by the iron in the soil. This mineral is named after the Kona Hills where it is found and is sought by stone workers and collectors alike for its workability and uniqueness. All slabs are about a quarter inch thick and are coated with a polyurethane based epoxy to give it a glass like finish.